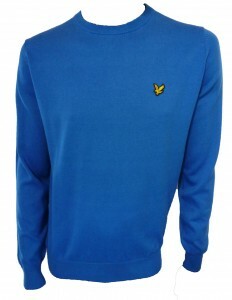 We have now started an amazing Lyle and Scott Sale where you can save up to 50% off many lines. We are now going to showcase some of our Lyle and Scott items that are in our sale, but remember, don’t delay, as when they are gone, they are gone! 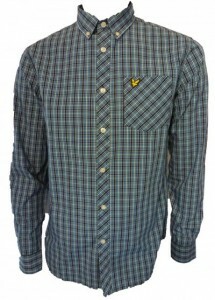 This is the fabulous KT679V22 Long Sleeve Check Shirt and is available from us at Apacheonline at a fantastic price. This beautiful shirt is crafted in 100% cotton, features a striking checked design and the all important yellow eagle Lyle and Scott branding. Was £75.00 now only £37.50. Our next sale selection is this lovely piece of knitwear. The JV621V02 Long Sleeve Cotton Crew Knit is a classic style and will never go out of fashion. In a quality cotton knitted fabric and subtle heritage style branding, this is a bargain as it was £80.00 but now only £40.00. 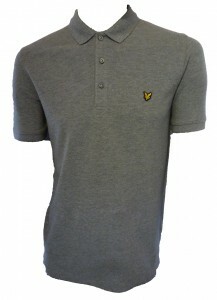 The final selection from our brilliant Lyle and Scott event is the classic SP001V02 Short Sleeve Pique Polo Shirt. In a quality pique cotton fabric and Yellow Eagle vintage logo, this will never date. We also have 2 other colours available in the sale which are Parachute Purple and Windsor Blue. Originally priced at £50.00 this is a good price for a quality garment. But we at Apacheonline are giving you 50% off these selected colours, and you can purchase one for only £25.00. So as we said earlier, don’t wait around as Lyle and Scott bargains do not hang around too long, especially those at half price. Thanks for reading and make sure to keep checking our blog as we have news of a very exciting Lyle and Scott competition coming soon.